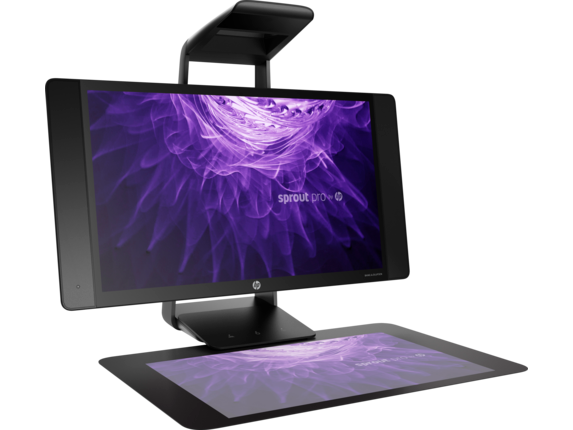 Manipulate the physical and digital worlds in innovative ways with immersive technology that's built with a PC, hi–res cameras, Touch Mat and 2D and 3D scanning capabilities. content in real-time and empower creativity. 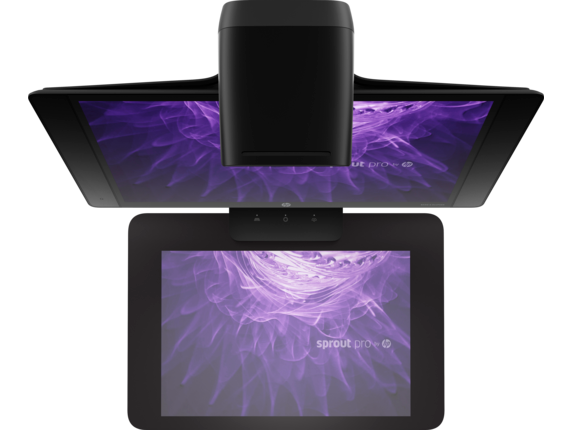 multi-touch displays, a unique 20-point Touch Mat and hi-res cameras. Make collaboration and productivity seamless. seamlessly adapts to changing environments. Prepare students for the future with engaging experiences and give them access to emerging technology. A learning station designed with a Touch Mat and 2D and 3D cameras take collaboration and learning to a whole new level. WorkTools is currently only available on Sprout Pro G2 and higher. Internet access required. Some apps referenced through WorkTools may require purchase. 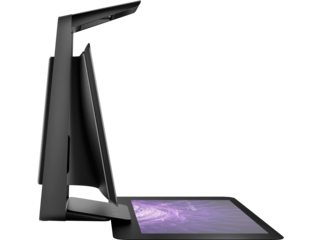 Sprout Pro as a kiosk is optional and requires a custom application that is tailored to each retail clientâ€™s requirements. Light Guide Systems is an optional app for Sprout Pro, and it is available separately through an OEM partner and specific channel partners for manufacturing work flows. 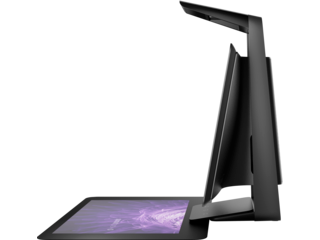 It enables them to customize light-guided assembly to their specific assembly process. © Copyright 2017. HP Development Company, L.P. The information contained herein is subject to change without notice. The only warranties for HP products and services are set forth in the express warranty statements accompanying such products and services. Nothing herein should be construed as constituting an additional warranty. HP shall not be liable for technical or editorial errors or omissions contained herein. Bluetooth is a trademark of its proprietor and used by HP, Inc. under license. Microsoft, Windows, and the Windows Logo are either trademarks or registered trademarks of Microsoft Corporation in the U.S. other countries. Intel, the Intel logo, Intel Core and Core Inside are trademarks of Intel Corporation in the U.S and/or other countries. NVIDIA and GeForce are trademarks of NVIDIA Corporation in the U.S. and other countries. Sprout Pro by HP empowers you to manipulate the physical and digital worlds in innovative ways. 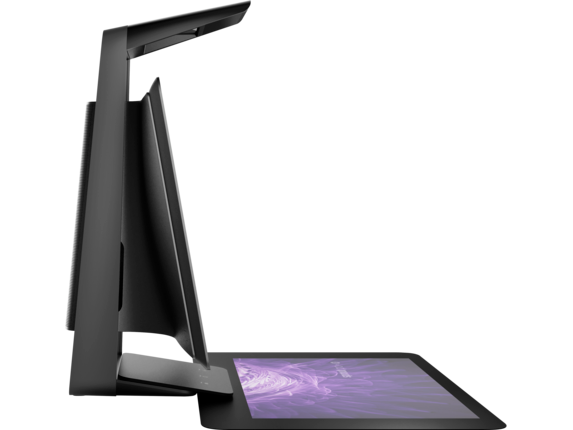 Built with a PC, projector, hi-res cameras, Touch Mat and 2D and 3D capture capabilities for an unbelievable experience. Multi-Core is designed to improve performance of certain software products. Not all customers or software applications will necessarily benefit from use of this technology. Performance and clock frequency will vary depending on application workload and your hardware and software configurations. Intel’s numbering is not a measurement of higher performance. Intel Turbo Boost performance varies depending on hardware, software and overall system configuration. See www.intel.com/technology/turboboost for more information. For storage drives GB = 1 billion bytes. TB = 1 trillion bytes. Actual formatted capacity is less. Up to 30 GB is reserved for system recovery software. Part of the total system memory (RAM) is used for graphics/video performance. System memory dedicated to graphics/video performance is not available. 16GB of memory is not standard in all countries. "Gigabit" Ethernet indicates compliance with IEEE standard 802.3ab for Gigabit Ethernet and does not connote actual operating speed of 1 Gb/sec. For high speed transmission, connection to a Gigabit Ethernet server and network infrastructure is required. Wireless access point and Internet service required and not included. Availability of public wireless access points limited. The specifications for the 802.11ac WLAN are draft specifications and are not final. If the final specifications differ from the draft specifications, it may affect the ability of the notebook to communicate with other 802.11ac WLAN devices. Actual speeds may vary. For full functionality of the share hot key, internet access is required and not included. EPEAT® registered where applicable. EPEAT registration varies by country. See www.epeat.net for registration status by country. External power supplies, power cords, cables and peripherals are not low halogen. Projector and 3D camera are not low halogen. Service parts obtained after purchase may not be low halogen. HP ePrint requires an internet connection to HP web-enabled printer and HP ePrint account registration (for a list of eligible printers, supported documents and image types and other HP ePrint details, see www.hp.com/go/eprint. 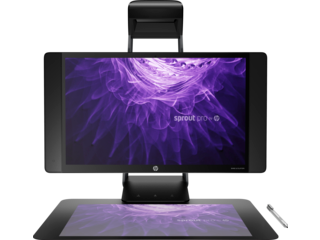 HP Touchpoint Manager requires purchase of a subscription and supports Android™, iOS and Windows 7 (SP1) or Windows 8.1 or higher operating systems and PCs, notebooks, tablets and smartphones from various manufacturers. Not available in all countries see www.hp.com/touchpoint for availability information. 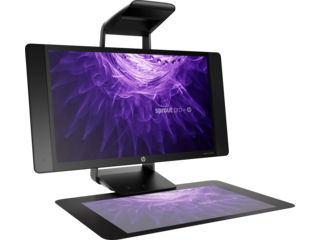 For more information, visit hp.com/go/hpsupportassistant. 512 GB Only available for EMEA Region. 1 Not all features are available in all editions or versions of Windows. Systems may require upgraded and/or separately purchased hardware, drivers, software or BIOS update to take full advantage of Windows functionality. Windows 10 is automatically updated, which is always enabled. ISP fees may apply and additional requirements may apply over time for updates. See http://www.microsoft.com. 2 Multi-Core is designed to improve performance of certain software products. Not all customers or software applications will necessarily benefit from use of this technology. Performance and clock frequency will vary depending on application workload and your hardware and software configurations. Intel’s numbering is not a measurement of higher performance. 3 Intel Turbo Boost performance varies depending on hardware, software and overall system configuration. See www.intel.com/technology/turboboost for more information. 4 For storage drives GB = 1 billion bytes. TB = 1 trillion bytes. Actual formatted capacity is less. Up to 30 GB is reserved for system recovery software. 5 HD content required to view HD images. 6 Part of the total system memory (RAM) is used for graphics/video performance. System memory dedicated to graphics/video performance is not available. 16GB of memory is not standard in all countries. 7 "Gigabit" Ethernet indicates compliance with IEEE standard 802.3ab for Gigabit Ethernet and does not connote actual operating speed of 1 Gb/sec. For high speed transmission, connection to a Gigabit Ethernet server and network infrastructure is required. 8 Wireless access point and Internet service required and not included. Availability of public wireless access points limited. The specifications for the 802.11ac WLAN are draft specifications and are not final. If the final specifications differ from the draft specifications, it may affect the ability of the notebook to communicate with other 802.11ac WLAN devices. Actual speeds may vary. 9 For full functionality of the share hot key, internet access is required and not included. 10 EPEAT® registered where applicable. EPEAT registration varies by country. See www.epeat.net for registration status by country. 11 External power supplies, power cords, cables and peripherals are not low halogen. Projector and 3D camera are not low halogen. Service parts obtained after purchase may not be low halogen. 12 Apps sold separately. 13 HP ePrint requires an internet connection to HP web-enabled printer and HP ePrint account registration (for a list of eligible printers, supported documents and image types and other HP ePrint details, see www.hp.com/go/eprint. 14 HP Touchpoint Manager requires purchase of a subscription and supports Android™, iOS and Windows 7 (SP1) or Windows 8.1 or higher operating systems and PCs, notebooks, tablets and smartphones from various manufacturers. Not available in all countries see www.hp.com/touchpoint for availability information. 15 For more information, visit hp.com/go/hpsupportassistant. 16 Internet connection required for updating and connecting to HP Support. 17 512 GB Only available for EMEA Region. 1 Not all features are available in all editions or versions of Windows. Systems may require upgraded and/or separately purchased hardware, drivers, software or BIOS update to take full advantage of Windows functionality. Windows 10 is automatically updated, which is always enabled. ISP fees may apply and additional requirements may apply over time for updates. See http://www.windows.com. 1 Not all features are available in all editions or versions of Windows. Systems may require upgraded and/or separately purchased hardware, drivers, software or BIOS update to take full advantage of Windows functionality. Windows 10 is automatically updated, which is always enabled. ISP fees may apply and additional requirements may apply over time for updates. See http://www.microsoft.com. 2 Multi-Core is designed to improve performance of certain software products. Not all customers or software applications will necessarily benefit from use of this technology. Performance and clock frequency will vary depending on application workload and your hardware and software configurations. Intel’s numbering is not a measurement of higher performance. 3 Intel Turbo Boost performance varies depending on hardware, software and overall system configuration. See www.intel.com/technology/turboboost for more information. 4 For storage drives GB = 1 billion bytes. TB = 1 trillion bytes. Actual formatted capacity is less. Up to 30 GB is reserved for system recovery software. 5 HD content required to view HD images. 6 Part of the total system memory (RAM) is used for graphics/video performance. System memory dedicated to graphics/video performance is not available. 16GB of memory is not standard in all countries. 7 "Gigabit" Ethernet indicates compliance with IEEE standard 802.3ab for Gigabit Ethernet and does not connote actual operating speed of 1 Gb/sec. For high speed transmission, connection to a Gigabit Ethernet server and network infrastructure is required. 8 Wireless access point and Internet service required and not included. Availability of public wireless access points limited. The specifications for the 802.11ac WLAN are draft specifications and are not final. If the final specifications differ from the draft specifications, it may affect the ability of the notebook to communicate with other 802.11ac WLAN devices. Actual speeds may vary. 9 For full functionality of the share hot key, internet access is required and not included. 10 EPEAT® registered where applicable. EPEAT registration varies by country. See www.epeat.net for registration status by country. 11 External power supplies, power cords, cables and peripherals are not low halogen. Projector and 3D camera are not low halogen. Service parts obtained after purchase may not be low halogen. 12 Apps sold separately. 13 HP ePrint requires an internet connection to HP web-enabled printer and HP ePrint account registration (for a list of eligible printers, supported documents and image types and other HP ePrint details, see www.hp.com/go/eprint. 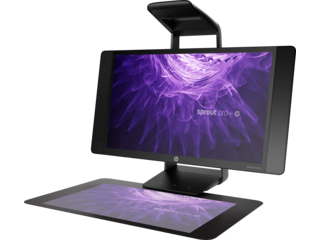 14 HP Touchpoint Manager requires purchase of a subscription and supports Android™, iOS and Windows 7 (SP1) or Windows 8.1 or higher operating systems and PCs, notebooks, tablets and smartphones from various manufacturers. Not available in all countries see www.hp.com/touchpoint for availability information. 15 For more information, visit hp.com/go/hpsupportassistant. 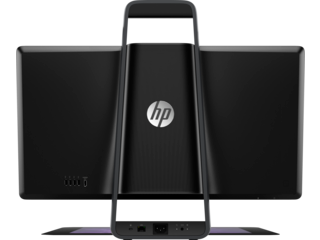 16 Internet connection required for updating and connecting to HP Support. 17 512 GB Only available for EMEA Region.